I don't know if any of you recognise the machine on the left? Well, it is called a gestetner. 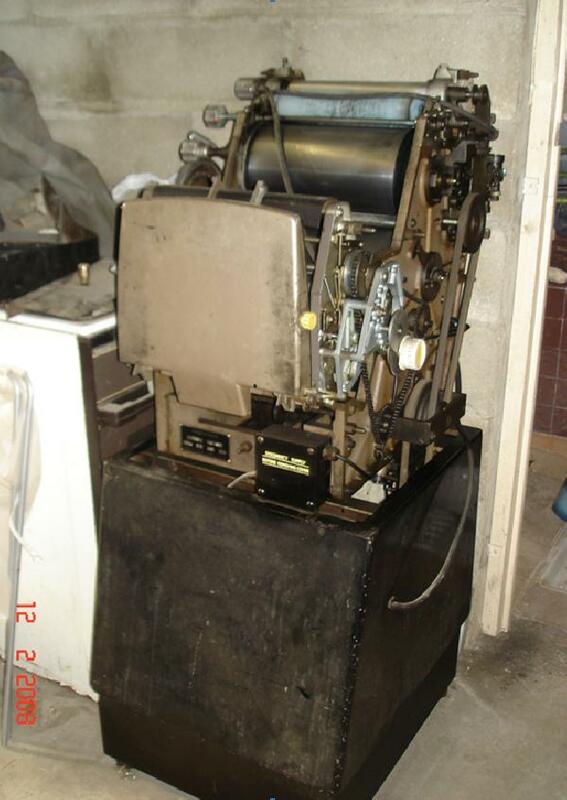 This is what we used back in the day in Nicaragua to print our newsletters on. Hard to imagine, as that was only in the late 80's! Life was so different then. We didn't have email, only snail mail; we couldn't even just pick up the phone and call home. Why you ask? We'd spend the evening trying to get an international line so that we could call Canada! Now we are so very blessed with technology. From email to internet (for this very blog) to phone calls where we see one another! Everything is instant and available. Communicating with those at home is easy. Now I can FaceTime my kids and SEE them while I talk to them! Who would have thought! I can even take a photo of them while we are chatting! What a blessing. There are so many ways to communicate with those far away - it is amazing. We have Magic Jack, which makes it free for us to call anywhere in the USA or Canada (204-272-0408). For those calling us from Canada, its like calling Winnipeg. We also have Skype (which is free as well), which allows you to SEE the person calling. We've enjoyed calls from parents, church family, SBC friends, etc. Then there is the ever famous FaceBook, which allows you to follow those at 'home', and around the world, and know what they are up to. This also allows you to 'chat' for free. Ernie has been able to use technology to talk with old friends in Nicaragua, the States and around the world. The world has changed so much since our gestetner days. Although we do still have 'snail mail', and it works! Now, every good thing can also have a negative side. One needs to find a balance between connecting at "home" and on the field. For some there is the danger of not being able to connect or acculturate with their new home, or host culture, because they can't let go of what was 'home'. If one is spending all day 'connecting' with "home", and very little developing friendships with those in their new 'home', there's a problem. But I, to be very honest, love that I can text my sons, talk to my sons, SEE my sons whenever I want. Well, not whenever I want, they still have to answer! :) That said, I love the people I have met here and so I think I have found a balance of sorts. I thank God for technology and the connectedness it allows for. P.S. Here is a symbol that is seen all around the city...any guesses as to what it means? hmm, it is possibly a place where people are supposed to meet in case of an emergency?